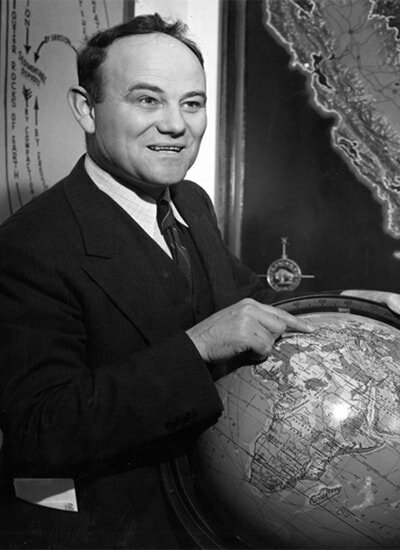 At the beginning of World War II, Dr. Lauren Post, a geography professor at San Diego State College, asked students entering military service to write to him. Students and their families wrote more than 4500 letters to Dr. Post. He read every letter, responded personally to many of them, and abridged others for inclusion in the monthly Aztec News Letter. Typing classes and fraternities helped prepare the News Letter. Mothers and fathers donated money for postage, and Dr. Post mailed the News Letter all over the world. All News Letters and letters depicted here are used with permission. They can be found in the World War II San Diego State College Servicemen’s Correspondence Collection, 1941-1946, Special Collections and University Archives, San Diego State University. 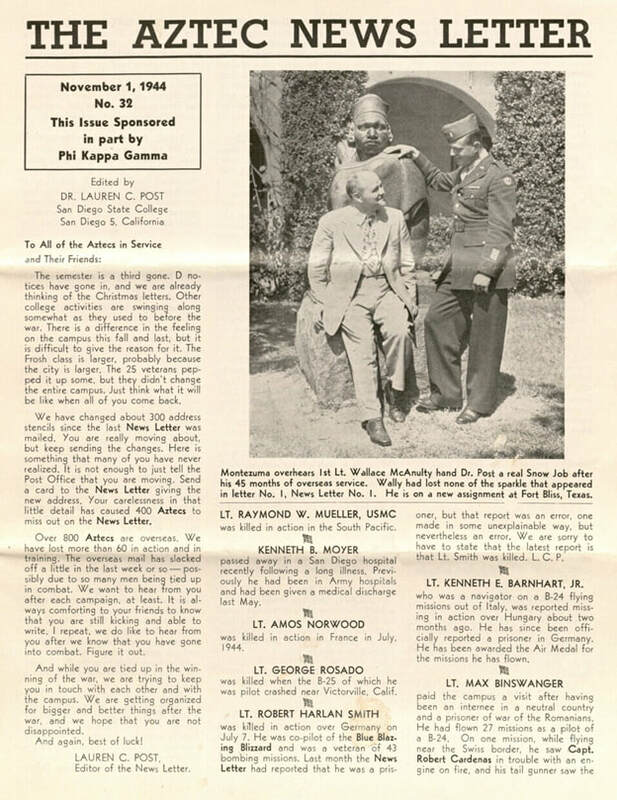 After the war was over, Dr. Post tried to entice servicemen back to San Diego. 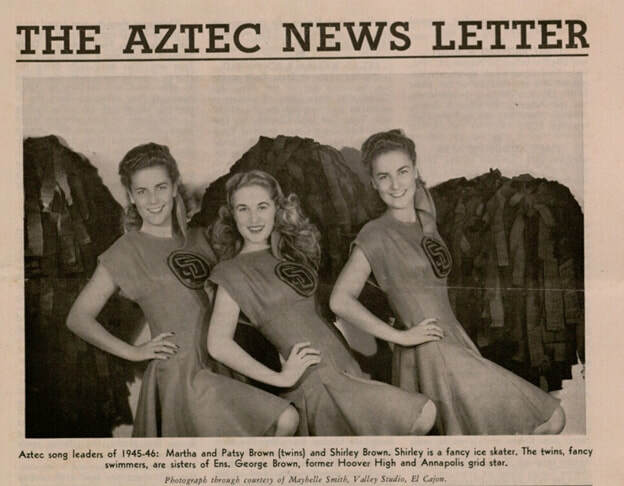 The News Letter featured photos of college women, including song and cheer leaders. This strategic effort to make men yearn for their campus worked like a siren’s song.